Larry McCall has a powerful message for men who did not grow up with dads who were good role models, or for men who need to be reminded that Christ is the perfect husband to His bride, the church. 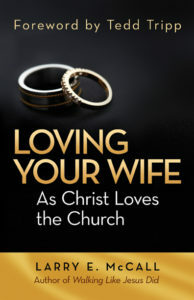 It’s outlined in his book, Loving Your Wife as Christ Loved the Church, which was published in 2009 by BMH Books. In it, Larry provides down-to-earth, biblical descriptions of various aspects of love—love that is practical, protecting, purposeful, passionate, praying, purifying, pardoning, persevering, and much more. Every chapter includes discussion questions and action steps that have made the book perfect for one-on-one mentoring, small-group discussion, or for personal, thoughtful reflection. Loving Your Wife as Christ Loved the Church has been a popular title, particularly as Larry has traveled around the world speaking at conferences and in churches on this topic. This year, he has been a featured speaker at several Iron Sharpens Iron men’s conferences in the Midwest. 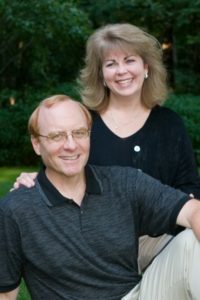 “I am always moved after these conferences to hear stories from men who have been impacted by God’s Spirit to repent of sin and recommit to loving their wives in a way that reflects Christ and His love for His bride, the church,” says Larry, who wrote the book out of his love of the Bible, his three-plus decades as a senior pastor, and more than 40 years of marriage to Gladine. As BMH Books staff has worked with an international rights representative to approve the production of BMH Books projects in other countries, it has become apparent that many of these publishers produce these products on a shoe-string budget. In their countries, the market for Christian materials, while much-needed, is small. In fact, several times, BMH Books authors have foregone international royalties to ensure that a title can be published and the material made available to those who want it. In Larry’s case, he’s committed to producing high quality, practical biblical material for use around the world. He’s waived the opportunity to receive royalties on projects. When he offered to help underwrite some of the costs of producing Loving Your Wife as Christ Loved the Church in Italian and Spanish, BMH Books decided to come alongside him. Two publishers — Associazione Evangelica Alfa and Omega in Italy and Publicaciones Faro de Gracia in Mexico – would like to produce Italian and Spanish editions, respectively. One will market the title in Italy, the other throughout Latin America. It is estimated that the BMH Books portion of the cost for each publication will be more than $3,000 each. This will help cover the costs of translation, printing, licensing, and other associated fees. The local publishers will pick the remainder of the costs, estimated to be about $5,000 each. Already, $2,000 has been received toward the projects. Would you consider making a generous gift toward this project? A gift of $100 or more will ensure that these resources, which would help so many marriages in Italy and Latin America, are available. With your help, hundreds of couples in Italy and Latin America will have the opportunity to strengthen their marriages because of the biblical principles found in Loving Your Wife Like Christ Loved the Church. Simply click the link below.